Discussion in 'On the Road' started by K3MRI, Jan 19, 2018. Leaving D.C. for Tuktoyaktuk in ten days. Departure is 28 April. Will be transmitting along the way and from Tuk. If you'd like to know my transmission times/frequencies, send me a message and I'll copy you on my spotting method. 73 to all and may the bands be with me. It’s done. My very long, boring for some, dizzying for others, time-lapse covering my Spring 2018 ride from D.C. to Tuktoyaktuk. The film starts where I started, in Washington D.C. and makes its way across the entire U.S.A., up through Alberta, along the entire mythical Alaska Highway, through Whitehorse where I met up with Anne and Eddie, and finally up the Dempster from Dawson to Tuk, passing through Eagle Plains and Inuvik. If you like long distance riding, I encourage you to watch the whole thing. If, however, you'd like to just watch portions, by all means, no offense taken, I have listed the milestones below. The first 11 minutes take us from Washington D.C. to Dawson Creek, B.C., in Canada. The Alaska Highway portion starts at: 11:40. The Dempster Highway portion starts at: 24:06. 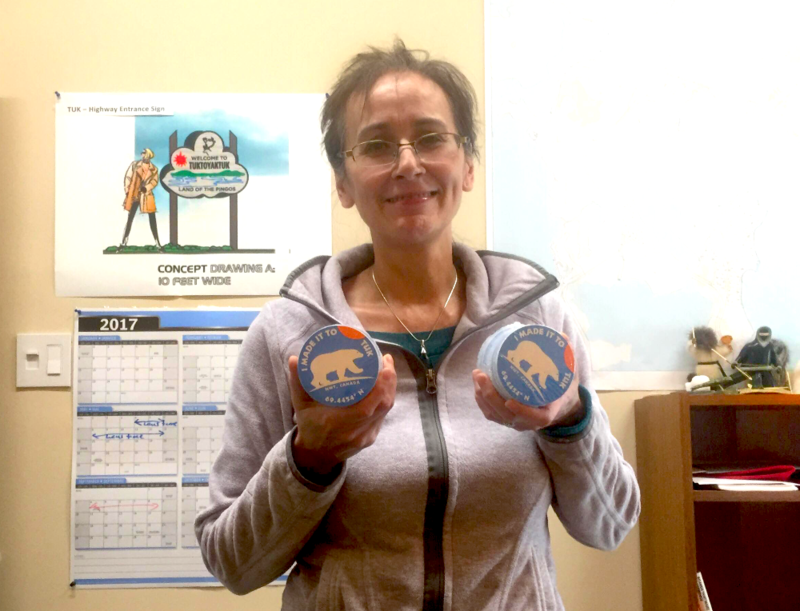 I list my thank you's in the film, but allow me here to especially thank all those who donated to the Thanks Tuk campaign and to those who bought an 'I Made It To Tuk' sticker once they got to Tuktoyaktuk. I hope this film will inspire you to travel up the Dempster. If you do, be respectful of it and thank all those you come into contact with; remember, they live there. Enjoy, but I repeat, watch at your own risk and please, don’t tell me it’s too long, I know, I was there!